Wayne Martin and Sandee Towers plan to celebrate winning the June 27 Lotto 6/49 jackpot with a family African safari. Sandee Towers thought it was a joke. 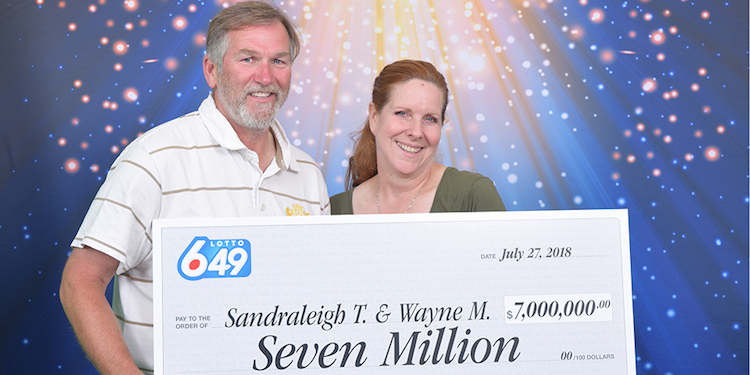 “At first I just didn’t believe him,” she said after her husband, Wayne Martin, told her they’d won the $7 million jackpot in the June 27 Lotto 6/49 draw. Martin decided to surprise his wife, who was travelling in England, by meeting her in London with two of their children to share the news face-to-face. Towers recalled asking her husband what he was talking about. Then he showed her a newspaper article about a $7 million ticket sold in Richmond. Martin bought the ticket at 7-Eleven on Granville Avenue and Cooney. It’s a custom he followed every week. After self-checking the ticket and seeing all the zeros after the number seven, he said it took a few minutes to sink in. The couple is also looking forward to spending more time with their four children, and buying a house in the B.C. Interior.